This amusing beautifully crafted toy has three colourful animals which bob up and down on concealed springs. 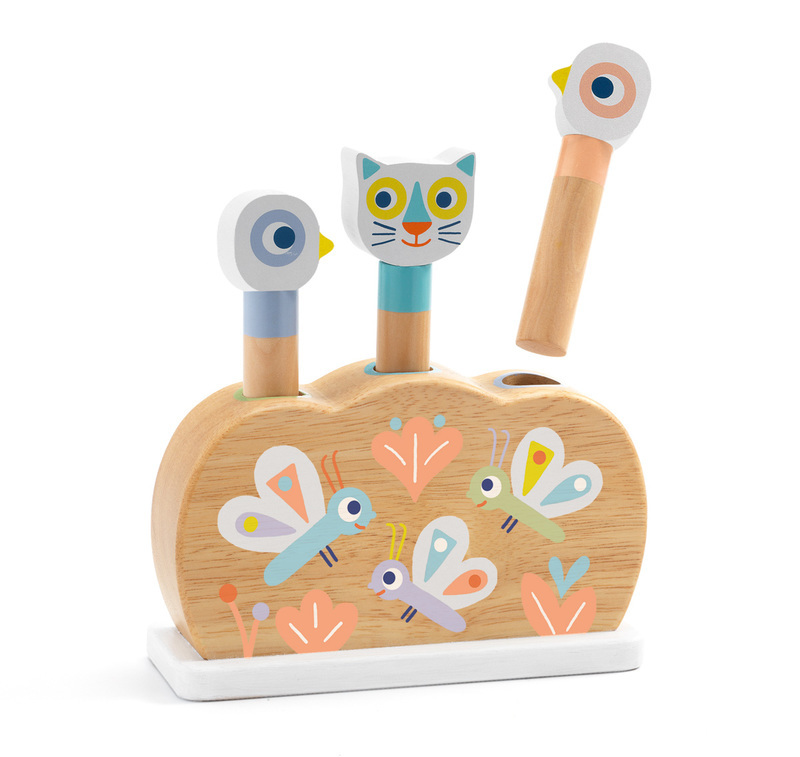 Featuring two ducks and a tiger, babies will love popping the animal headed sticks in and out of the gorgeous wooden stand. 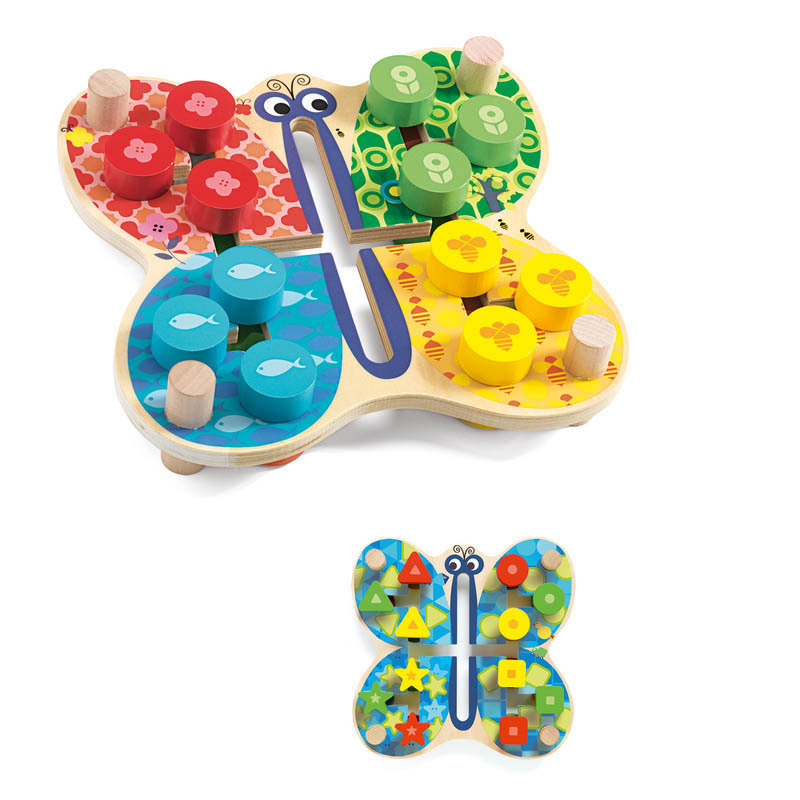 The toy is designed to encourage hand/eye coordination and also helps little ones with their colour awareness. The child presses the colourful characters and they will bob up and down and this will stimulate their interest's. As the child gets older you can progress to colour matching the characters to their slots. Crafted in quality wood for durability and lasting pleasure and painted in pastel tones.